Synopsis: A man with a dark past must exact revenge on his brother's killer. About: Sold for 650k against 1.1 mil. To star Leonardo DiCaprio. Ridley Scott to direct. The writer sold the script all the way from Pennsylvania. But don't be fooled. Inglelsby spent 2 years at the prestigious American Film Institute (great school btw). No. 4 of 5 on our Top-Selling Scripts of 2008 List. Because you stingy script-horders won't send me "The Long Run" (AHEM! AHEM!) it looks like this will be our last drama of the week. Enjoy (aka I hate you). I was really dreading this one. I already tried to read it once and it didn't go well. By page 13 I was actually considering watching The Bachelor instead. That's never a good sign because I only mildly occasionally watch The Bachelor. It's usually by accident if I'm flipping through the channels and happen to leave it on ABC at 8pm on Mondays. It's always by chance though. Believe me, I could care less about the show. But I will say this: Jason really screwed over Melissa. I'll leave it at that. And I don't think Molly is emotionally available enough for Jason and I worry how that's going to affect Ty. Okay I'm done. I just wanted to be on the record about that. 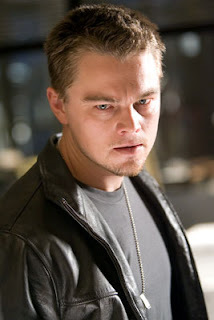 The (S)Low Dweller was purchased when none other than Jack Dawson (known by some as the celebrity-eschewing Leonardo DiCaprio) became interested in the material. Scripts that are bought for actors are always interesting because an actor doesn't look at the whole story when he's looking at a script. He tends to look exclusively at the character. This is all fine and dandy but a story has to work as a whole and sometimes these vanity projects stink of Oscar bait. Check out "Seven Pounds" if you don't believe me. But it's a good thing for Inglesby that DiCaprio became interested. Because if he hadn't, I'm almost certain we'd have never heard of The Low Dweller. I don't know how many of you watch Entourage, but The Low Dweller reminds me of those two hicks that E represents - the ones that ended up selling their script for a million dollars? This is a small town movie about small time people. We meet SLIM somewhere in rural Indiana (is there anywhere in Indiana that's not rural? ), his clothes stained with fresh blood, his mind still blank from alcohol. We find out later he's killed a man but we don't know who or why. After four years in jail, he's released back into a world that's forgotten him. He reconnects with his brother and the rest of the people he left behind - all of whom he seems to have strained relationships with. The Low Dweller is heavy. I'm serious. There isn't a single smile in the script. I'm getting depressed just thinking about it. When his brother is killed for skipping out on a gambling debt, Slim grabs a couple of old buddies and heads out on the road for a little revenge (if only he'd called Dan Minter!). The man he's going after, SAM, is a really bad guy who, for some reason, likes to wear a fedora. During this time Slim tries to mend the relationships he destroyed during his "troubled" past. The writing here is very good but the film feels like it's lost in cliches. Small town with shady characters. Guy owes a gambling debt. Collectors are tired of waiting to get paid so they kill him. His brother (with a dark past) comes after the killer. I'm not saying you have to have a completely original idea to write a good screenplay. But it helps. Basically The Low Dweller is a revenge movie and it takes way too long to get to the revenge part. The first 20 pages could've been condensed into 3. If you want to read a great movie about revenge, look no further than my Top 25 List and download The Brigands Of Rattleborge . Now that's a revenge movie. This is Revenge Light, and I fail to see what caught DiCaprio's interest here besides another opportunity to use a southern accent. The script makes a late comeback (with a revenge for the revenge) but the final shot falls short. This felt like an amalgam of a few films: Fargo, No Country For Old Men, and History Of Violence. I like all of those movies but the problem with The Low Dweller is that it doesn't do anything nearly as well as any of them. This sounds terrible but The Low Dweller is kind of like the ugly non-smiling stepchild here. But if you liked any of those movies, you might as well check out The Low Dweller. Who knows? Maybe DiCaprio saw something in it that I didn't and it'll turn into a great movie. It definitely has its admirers as I think it was pretty high on The Black List. Just bring something to entertain yourself during the read - like a gameboy - cause it's sloooooooooooo-oooooooooow. What I learned from The Low Dweller: If you're going to write a revenge movie, you have two jobs. Make sure we like the person who gets killed and inspires the revenge and make sure we detest the killer (so that we'll want to see him killed). Fail on either of these fronts and your revenge movie doesn't work. If you have a somewhat mean guy killing an annoying victim, where's our incentive for the hero to get revenge?